Hey guys! 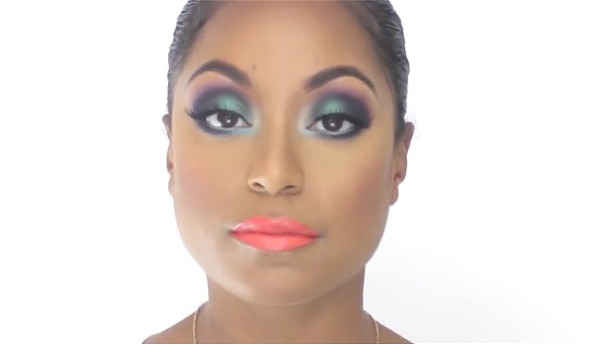 I felt like playing in color last weekend and have been obsessed with the makeup from Beyonce’s music videos for the songs “Blow” and “Mine” so I decided to do a make up look — pulling the neon bright lips from Blow and the colorful smoky eye from Mine. If it’s too much for you, feel free to tone down the lip but I just love it! Let me know what you think in the comments section! Product list included below.